All the foundation skills you need to become an accomplished vegan chef, for business, pleasure or health. Taught by Vegan Fusion Level 2 certified chef Alan Whykes. $990 all inclusive, places limited. - vegan cookbook that you like. During the break periods you can check out other people's books! - a sharp knife you are comfortable using. - camera, if you wish. - positive attitude. The course days are quite long so you will need to stay focused and committed to working with others even when you are getting tired. Simply put the more you put into it the more you will get out of it. 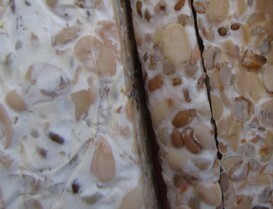 Homemade soy and spelt tempeh. Learn how to make tempeh at home in this hands-on workshop for tempeh novices in Melbourne. Please note that to ferment your tempeh at home you will need a warm (approx. 30C) space or box for approximately 15 hours. The workshop does not provide you with an incubation device to take home but will discuss some ways to make one.